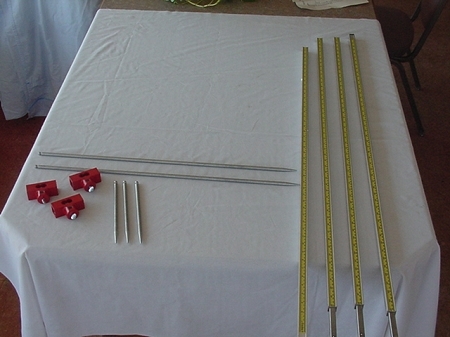 Four snap together tubes with tape inserts in both metric and inches. Total length of 16'. Two extra long, round pointers clear obstructions for Tram measurements. Three-point contacts assure absolute accuracy.